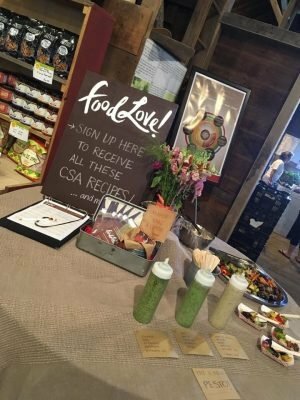 CISA | Local Hero Profile: FoodLove! Published in CISA’s July 2018 E-Newsletter – Sign Up Here! Tonianne has found her outlet for promoting connectivity through her personal cheffing. “I think a lot of people take food for granted and they think of it more as just one more thing to get done. They don’t have family meals and they often don’t know where their food comes from.” Tonianne is on a mission to fix that reality. With FoodLove!, Tonianne supports her clients by taking on the whole process of making a healthy, family meal – from buying high quality, local ingredients to preparing the meals in the family’s home. She sees it as a great service for families of busy people who might not have the time, interest, or skill to do a lot of cooking but place a high value on bringing ‘real, whole foods’ into their home. Tonianne finds joy in bringing delicious, local ingredients into her client’s lives – she still remembers the moment that she discovered what a difference buying fresh, local produce can make. Tonianne had always hated the cherry tomatoes that she found in grocery stores—she found the skins to be too thick and chewy. Her idea of cherry tomatoes was flipped on its head during her first year as a CSA member at Red Fire Farm. “Red Fire had 30 or more varieties of heirloom cherry tomatoes. The colors alone were mind blowing. It was like having a brand new box of crayons because all the colors were so cool and they were just so tender and delicious and sweet and fragrant. 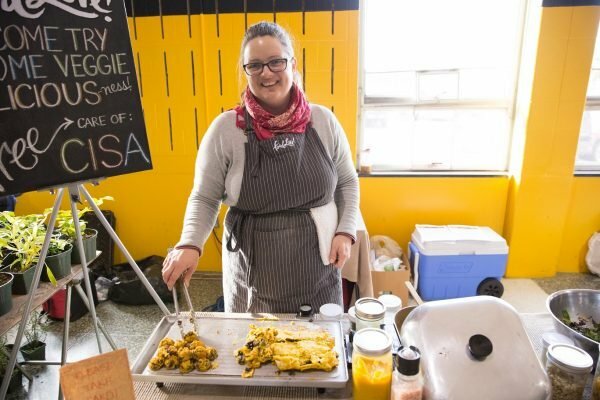 I was completely hooked.” These days, Tonianne considers herself an evangelist for local food and she loves to incorporate produce from local farms into her personal cheffing and her community workshops.